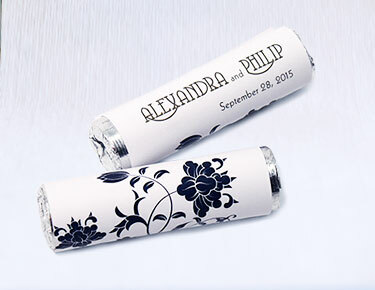 Our amazing selection of perfectly printed items in our wedding favour stationery boutique will satisfy your customization and style needs for your upcoming wedding. 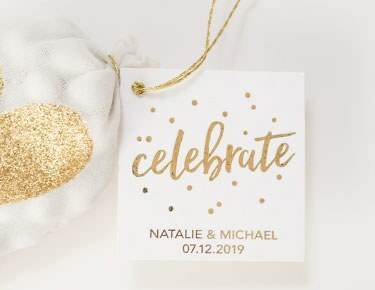 Make sure your wedding is ultra-personal with our gorgeous selection of personalisation options from Confetti. From stickers, candy wrappers, boxes, hand fans and wedding favour accessories, you will find the wedding favour stationery and customized paper items that will suit your very specific and creatively delightful needs!Pair our wedding favours with our personalised favour stickers or tags for take-home gifts that your guests will go gaga over! Customized printed labels will personalise your wedding favours -choose from different designs, patterns, shapes and colours. 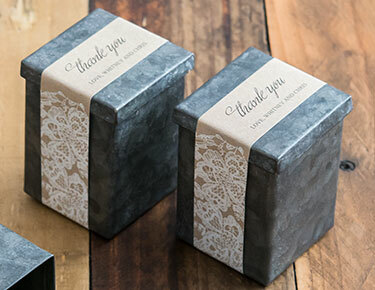 Add that extra special touch to place settings, bridal party gifts, groomsmen gifts, giveaways and more. Go for a romantic touch with our huge selection of heart-shaped stickers. From round, rectangular, unique shaped, CD labels to playing card stickers, we have what you need to make your favours fab!Decorate jars, wine bottles, bags and trinket boxes with various wedding favour tags that will reflect many different styles and preferences - romantic, modern, sparkly or classic designs are available. 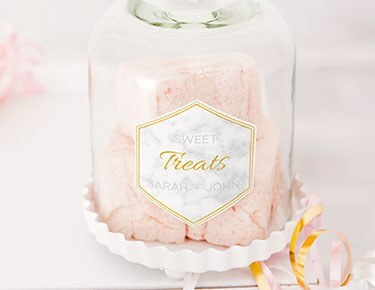 Or choose from personalised favour box wrappers and wrap up your boxes of goodies in style!Everyone loves candy, and personalised candy wrappers are a wedding favour that can't be beat. Your guests are guaranteed to be talking about your personalised candy wrapper favours for years to come when you choose these personalised candy bar wrappers - available in different designs and colours that will suit your wedding style, colour or motif.Warm weather wedding? No problem. Our personalised hand fans are ideal to place in baskets at the wedding ceremony, or at individual tables at the wedding reception. 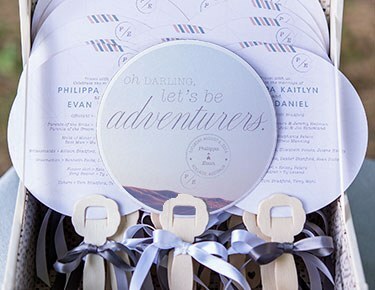 These high-quality customizable hand fans are printed to your specifications and will add a welcome breeze to your guests when they need it the most.Browse our huge selection of customized wedding favour stationery for ideas, tips and tricks to help incorporate your unique personalisation, style and preference to your wedding favours, wedding accessories and wedding props.